When it comes to beauty trends, it can be hard to separate the legitimate ones from the gimmicks. Before jumping on the latest bandwagon, it is recommended that you spend a little time researching products. While the internet is certainly a resource for this, it can be difficult to weed out real data and information among all the scams. Your skin care professional is your best source of information regarding health and beauty trends. Their education and training are invaluable when it comes to unbiased, truthful opinions. Let’s take a look at a couple of the latest trends in skin care that have made a strong impression on consumers over the last year or so. By now, many of us have seen the painful (and sometimes comical) videos of people using charcoal masks. The masks are touted as an excellent way to rid the skin of blackheads, oils, and other contaminants. The problem comes when the mask is removed. It can be quite painful and can actually damage your skin. The masks adhere to the skin, and when removed, they wind up taking the top-most layer of skin and hair off along with the oil and blackheads. The extreme pain can put many people off using these products and make them wary of trying them again. There is good news, however. Using activated charcoal skin care products does not have to be painful. There are plenty of charcoal options available that are gentler and easier to use. These products can include wash-off masks, sheet masks, and scrubs. The activated charcoal purifies the skin without the pain and discomfort. Activated charcoal is not the same as charcoal you use to grill your steak. Standard charcoal contains other additives such as wood, petroleum, and peat. Activated charcoal is prepared specifically for medicinal use and does not have any of these harmful additives. The charcoal can absorb thousands of times its weight in unwanted chemicals, poisons, and other contaminants. It is often used internally to prevent poisons from being absorbed by the body. It can also be used to reduce intestinal gas and even lower cholesterol. Activated charcoal is used in air and water purifiers and fillers. Its ability to absorb bad odors, chemicals and additives in water make it a reliable and natural alternative to other products. You’ve heard the expression “no pain, no gain”. When it comes to your skin, no pain is a good thing. Pain signals you are harming your skin and possibly causing damage. If your skin care products are painful to use, then you should seriously consider finding other alternatives. Stressing your skin can lead to long-term damage and undesirable side effects. One of the biggest jumps in popularity has been in the area of vegan skin care products. The US and France have seen an increase in consumer interest in these types of products. Just as with food, vegan skin care products do not contain animal by-products. All ingredients are plant-based and, according to its fans, much better for your skin. Pro-vegans suggest that by eliminating animal by-products, you eliminate the potentially harmful chemicals and additives that the animals may have ingested. They argue the unwanted additives ingested by the animals are absorbed into the animals’ system and poison the products we harvest from them. Lanolin is an example. Lanolin comes from sheep fur that may have been dipped in pesticide. It is purported that the chemicals the sheep are exposed to are absorbed into the animal’s fat and are present in the final man-made product. This, in turn, exposes the people using these products to the chemicals via the beauty product. Basically, anything the animal has ingested or been exposed to is now in the product you are using and putting on your skin. In addition, lanolin is not a necessarily a cruelty-free product. Many people assume the animals are not harmed when the wool is harvested. They believe the sheep are simply shaved and are then released back to into the field to grow a new coat. Most wool, however, is taken from sheep that are slaughtered for food consumption. This is another big drawback to those looking to use cosmetics and beauty products that are certified cruelty-free. The vegan concept goes beyond the actual skin care lotions, cleansers, and creams. It applies to skin care tools as well, such as makeup brushes. The concern for allergic reactions etc. is minimized by not using animal hair to create the brushes, which can elicit unwanted irritations and allergies. The vegan products should also be certified organic. If not, there is no guarantee that the plant products used are pesticide and chemical-free. 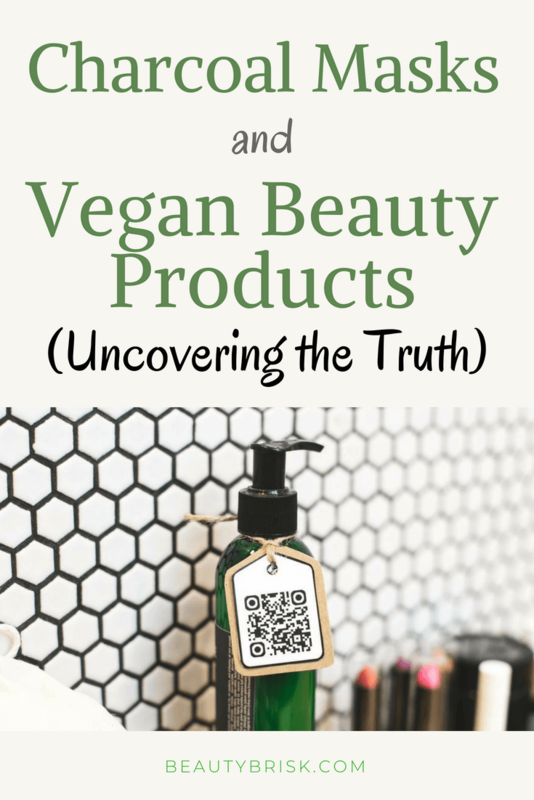 Vegan products are better for sensitive skin types, as they do not contain a lot of the harsh chemicals and compounds that can be found in other skin care products. It is highly recommended that before you use any cosmetic or beauty product, especially one that is new to the marketplace, you consult your skin care professional. If you do not currently have a professional skin care consultant, you need to give it serious consideration. You should feel comfortable with this person and it is advised that you find someone who has been formally trained in skin care and cosmetic beauty treatments. You may also want to perform a “skin” test. Use a small amount of the product on a small test area of your skin before proceeding with a full application. This will give you an indication as to whether or not the product will cause an irritation or if you are allergic to any of the ingredients of the product. As with everything else in life, using common sense is key. If something looks too good to be true, chances are it probably is and you should steer clear.